M. GRACE DESIGNS GROUP is an award-winning, full-service Interior Design firm focuses on residential interiors, commercial and hospitality spaces. I possess vision, an innate sense of style, & an understanding of relevance & function as it relates to how one lives & prioritizes their dwelling. Let Staci Ilene Decor help with your next project. AC Atelier is a Chicago based architecture and interior design firm focused on residential, commercial, and hospitality work both in the United States and abroad. 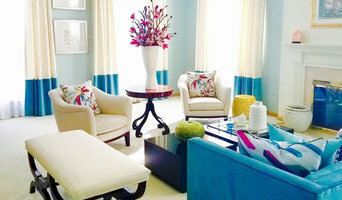 Tory Day Interiors is a full service interior design, decorating, and home staging service for residential homes. Tory collaborates with her clients to achieve their visions of beauty and meaning. Gemma Parker Design, LLC. approaches each project as a creative collaboration between client & design team- delivering projects that reflect the personalities & lifestyles of our diverse clientele. With superior customer service and an acute sense of detail, Marina will help transform your home into the space that works best for your lifestyle and personal taste. We help homeowners in the Chicago North Shore area sell their homes faster and for more money. We help them fall in love with their living area through redesign and remodel. 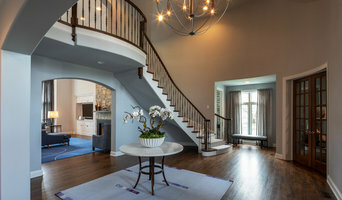 Lisa Wolfe Ltd is a full service design talent, offering interior design, architectural, construction and custom-build services for the residential market. For over 30 years, we have been singularly focused on developing a design collective whose purpose is to exceed our client's dreams. As noted in many interior design publications "Laurel is a conceptual artist that takes the blank canvas of a space and transforms it to a living work of art." I like to turn things on end and explore less expected options. I encourage my clients to enjoy living well, find peace in their surroundings, pleasure in beauty and not to accept the ordinary or predictable. This philosophy directs my interior design work and my life. 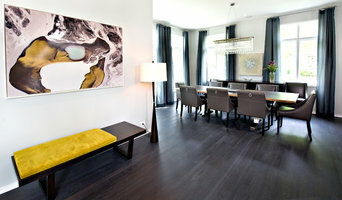 My interior designs are full of life, color and intelligence. Exceptional Interior Design changes people. It affects the way we live and makes a difference in our lives. A well-designed, well-organized home makes everyday activities easier and more efficient. It encourages and improves interaction with family and friends. A comfortable, beautifully designed space inspires people to stay longer and enables them to be more productive. I take great satisfaction in designing spaces that simplify and enhance everyday living by being comfortable, functional, beautiful and personal. Your home is your portrait. Let me help you paint it. The interior design of your home tells your story: your lifestyle, values, tastes and preferences. Your interests and hobbies, how you live, work and play, are the basis for our establishing the overall concept for your home. Our conversations help me understand what you want your environment to reveal about you. Taking inspiration from the participants (even the four-legged variety), I'll endow your space with personality, depth and character that reflect you and your family. 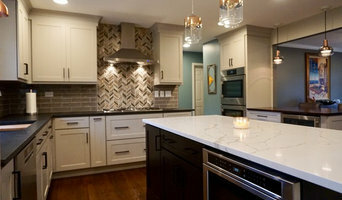 The personality of your home design develops as we communicate and begin to know one another. Creating spaces you love should be fun, exciting and inspiring! I love helping my clients turn their dreams into reality by creating a home that makes them feel happy.